Pull the leaves from the stems of the larger pieces of kale (as they will be tough) and discard the stalks. 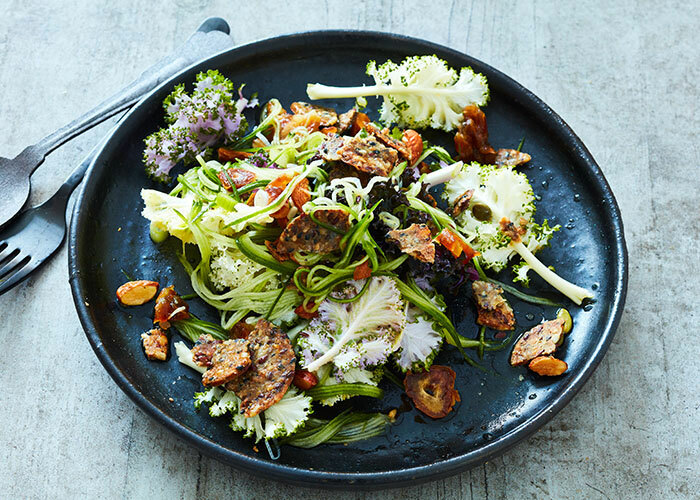 Place the kale and the rest of the salad ingredients in a bowl and scatter with Super Seed & Grain Crackers. Set aside. Place the orange juice, vinegar, oil, pinch of salt & pepper and the orange rind in a jar with a lid and shake to combine. Pour the dressing over the salad and toss. Season with salt & pepper to taste. To prove you’re not a robot, can you tell us what’s 3 + 2 ?